I would say that the first TV show that I became obsessively compulsive about was The X-Files. Scratch that, I was hooked by Twin Peaks first, but that show was more about mere curiosity as it wasn't until I was older that I truly appreciated Twin Peaks for the brilliance that it is. No, The X-Files debuted during my first semester in college, so you could say that I was the proverbial target demographic for the show. I caught episodes here and there in college. What can I say? I was in college and there were more important things to do on a Friday night. Or at least I like to pretend that I had more interesting plans weekly. Regardless, I really got into the show after college around season four and watched it religiously until its conclusion (?) last year. So, you have to imagine how high I held the bar for Project Blue Book when the first trailer made the series out to be a period piece X-Files. What? An alien investigation TV series set in the 1950s and 1960s, during the height of UFO activity? Sign me up! 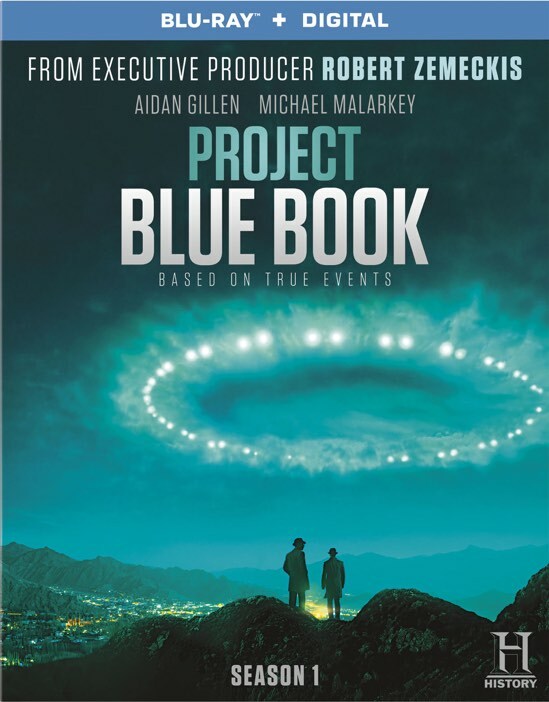 Executive producer Robert Zemeckis presents Project Blue Book, a series inspired by the real-life experiences of Dr. J. Allen Hynek. 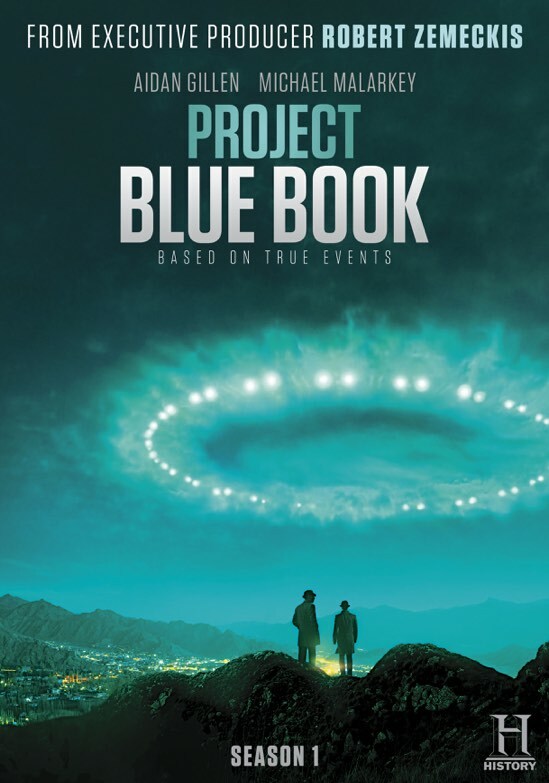 The U.S. Air Force recruits Dr. Hynek, a college professor, to help spearhead a clandestine operation code-named Project Blue Book. The stated purpose of Project Blue Book was to investigate UFO sightings and alleged extraterrestrial encounters. Project Blue Book investigated more than 12,000 cases over its existence and over 700 remain unsolved to this day. Like any new show, it takes time for it to find its groove. Rarely, if ever, does a show just leap off the screen from the first scene. I would say that the only that I can remember being that universally beloved was probably Lost. With Project Blue Book, the show slowly builds to a crescendo during its first season. The first few episodes rely more on the strength of the weekly cases before building in their own threads of conspiracy along the way. This approach allows the audience to appreciate the scenery along the way. The series naturally cherry picks the more interesting cases, but they have little regard for keeping a strict timeline. The actual cases did not take place in the order that the series presents them, but I'm far less concerned with that aspect of their historical accuracy as I am in the actual casework behind these investigations. The biggest decision facing the showrunners is where do they draw the line between fact and fiction. They aren't shy in proclaiming that this series is based on true stories and even go so far as to tag each episode with a historical perspective about the case from the proceeding episode. While this postscript is a nice narrative touch to bring the whole true story angle full circle, I did appreciate having a quick blurb added on there to save me the extra time it would have taken me to google the event. Speaking of Google, perhaps the biggest praise that I can heap upon Project Blue Book and the History Channel is that every show motivated me to do more research on that case. Whenever a TV series can capture an audience's attention so completely, it has already won the battle. Much like the way that Lost created a whole subculture of fanatical viewers that would research every minute detail in every episode (guilty! ), the intriguing aspects of Project Blue Book are motivating people to learn more about this once-classified project. For whatever reason, the 1950s and 1960s seem to have been the most active era for UFO sightings and extraterrestrial encounters. There are so many reasons why this might be, ranging from escalating tensions between the United States and the Soviet Union during the opening salvo of the Cold War to technological advancements proliferating at a rapid pace turning science fiction into science fact each and every day. Interestingly, now that every human basically has a video camera in their pocket thanks to cell phones, paranormal and extraterrestrial encounters appear to be at an all-time low. And yet, to paraphrase this show's obvious inspiration, I want to believe and for that very reason, I absolutely love Project Blue Book. I do think that the show perhaps bit off more than it could chew by introducing so many tangents such as Russian spies and the A-bomb scare, but I think the show will bring everything together nicely as it moves on. That said, the covert operation at the heart of the series is teased at many times, but like any good storyteller, the showrunners wisely leave us with more questions than answers when the season finale comes to a conclusion. Thankfully, History is deep in the middle of filming season two, so hopefully, we will get some answers sooner rather than later. Project Blue Book is a must-watch for any fan of The X-Files as it's almost a spiritual prequel of sorts. It is literally building the conspiracies and subterfuge necessary to force the FBI to create an X-Files unit a few decades later. If you want to believe, then you will be hard-pressed to find much to nitpick about here. Project Blue Book is the latest in a long list of hits for the cable network and one that I look forward to enjoying for many more seasons to come. Catch up on Project Blue Book: Season One which is currently available on Blu-ray and DVD.